The rural Parish of Manley is situated approximately 10 miles north east of the county town of Chester, with the vibrant market town of Frodsham just four miles away. 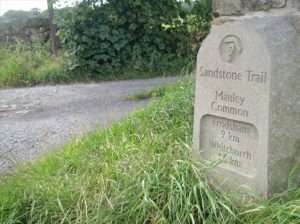 Whilst the Parish is predominantly rural, situated on the Sandstone Trail and including a large portion of Delamere Forest, it is close to the M56 and M6 motorway network and there is easy access to Manchester, Liverpool and their airports. The Parish is about 3.1 miles from east to west and occupies about 3.4 square miles. It stretches from the Cheshire plain at around 20 metres above sea level to the west of the Parish and rises eastwards up to the Cheshire sandstone ridge with a maximum height of around 150 metres. The Parish is part of the Gowy Ward in the Cheshire West and Chester (CWaC) Council jurisdiction. There are approximately 285 properties, including 7 working farms, with a population of about 650 people, of which about 150 are under 18 and approximately 115 over 65. There is a wide range of detached, semi-detached and apartment property with owner-occupied and rented accommodation including social housing. There are several businesses ranging from a water-sports centre, motor cycle suspensions manufacturer, interior design consultancy, bed and breakfast establishments, stables and farm shops and twice the national average of people working from home.